Hawksbill Sea-turtles (Eretmochelys imbricata) are unique sea-turtles with a pointed beak much like a bird. Their beautiful, colorful shells are highly sought after, despite the international laws against trading Hawksbill products. This illegal trade is one of the major threats to the survival of the species, which has experienced rapid population decline. In only three generations, the population of these turtles has declined more than 80%, a trend that is continuing. In addition to the illegal trade of their shells, Hawksbill Sea-turtles are threatened by widespread egg collection, hunting, habitat destruction, entanglement in fishing nets, and ocean pollution. PRCF conservation initiatives with Hawkbill Sea-turtles focus on community-led protection of sea-turtles and their nesting at Paloh Beach in West Kalimantan, Indonesia and at the Akassa coastline in southeastern Nigeria. At these two sites, conservation work with this species also entails working with other two species of endangered sea-turtles. Activities include protection of breeding populations, nest and hatchling protection programs led by local communities, and conservation awareness and education programs involving school children of grades five through seven. 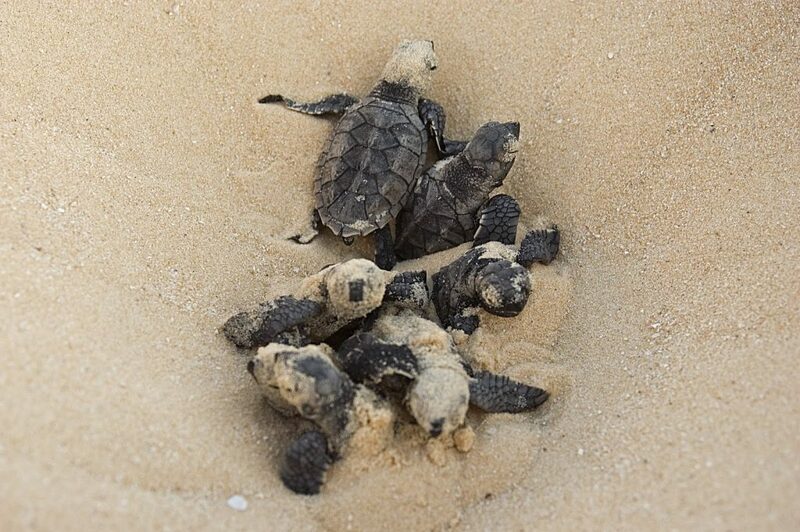 Our objective is to establish, promote, and mentor local communities to protect breeding Hawksbill Sea-turtles visiting the beaches of Paloh in Indonesia and Akassa in Nigeria, and to safeguard their nesting sites and hatchlings from human and animal predators. We are convinced of the interest of local villager groups into conservation of the species through community led approaches.